This page has a list of other events that might be of interest to CHI 2019 attendees and the CHI community. Please note that these events are not part of CHI 2019 and are not affiliated with the conference. If you have an event the CHI community might be interested in, complete this form. This informal event takes place every year to celebrate the success of the Scottish HCI community at CHI. Researchers from all Scottish institutions are invited to present their accepted CHI 2019 submissions and everyone is welcome to come along, hear about the latest and greatest HCI research in Scotland, and meet the awesome Scottish HCI community. Please register using this form to let us know you are joining us. We have a range of speakers over two days: one day focused on Algorithmic Accountability and the second on Citizen Science; led by HCI luminaries Ben Shneiderman and Jennifer Preece. As well as intellectual stimulation, also come and experience the amazing natural environment of the area, and of course, to sample some Welsh cakes! This is an open event and there is no charge, but you must register at this page, to allow us to plan catering. Address: The Cinema, Centre for Contemporary Arts (CCA), 350 Sauchiehall Street, Glasgow. This event will present a range of art practices that are concerned with digital/computational interactions. The event has been inspired by Glasgow’s hosting of ACM CHI Conference on Human Factors in Computing Systems. The evening will be an opportunity to engage with both the CHI art community and other artists as they present and or perform their work. The event will include, sound, video, animation, interactive, light, and augmented work. The purpose of the evening is to demonstrate the diverse range of practices that exist within interactive and computational art practices. In conjunction with the CHI conference we are offering a UX certification training and examination event on Wednesday May 8. This will feature a ½ day condensed UX training covering the topics in the UX & Usability Foundation course from the UX Qualification Board, followed by an optional 75-minute exam. Those who pass the exam will receive: “UXQB Certified Professional for Usability and User Experience – Foundation Level (CPUX-F)” status, an internationally recognised UX certification. CHI attendees receive a 15% discount on the cost of the course and exam. Full details and booking at this link. The 20th International Conference on Human Computer Interaction (Interacción 2019), is an international event promoted by AIPO, the Asociación de Interacción Persona-Ordenador and CHISpa, the Spanish chapter of ACM SIGCHI. Its main objective is to promote and disseminate the recent advances in the field of Human-Computer Interaction (HCI). Interacción 2019 will provide a forum for researchers and practitioners involved with HCI in Spain and Latin-America, and in other parts of the world. It aims to bring together people interested in any aspect of HCI and Interaction Design, to enable them to share their experiences, exchange their ideas, learn from one another, and promote collaboration in HCI research and development. CUI 2019 looks to bring together the ACM SIGCHI and ISCA communities together in looking and speech and text based conversational user interfaces. We have two prominent keynote speakers lined up (Cosmin Munteanu, University of Toronto Mississauga; Susan E Brennan, Stony Brook University) and will have a selection of Showcase presentations from leading researchers in the field. We have a broad scope of topics for submissions covering a variety of HCI-related topics, including but not limited to: voice user experience, speech interfaces, theory and method development, chatbots, dialogue management, design insight, and multimodality. 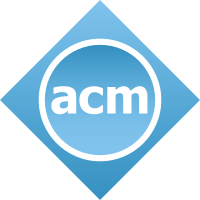 Accepted submissions will be published and indexed in the ACM DL. We are accepting 6-8 page Full Papers (April 12th deadline) and 2 page Provocation Papers (May 17th deadline). Head to cui2019.com for full details. INTERACT conferences are an important platform for researchers and practitioners in the field of human-computer interaction (HCI) to showcase their work. Over the years, the conferences have attracted researchers from several countries and cultures. We have confirmed keynotes from some of HCI’s most influential researchers, each of whom anchors a panel that explores the past, present, and future of key areas of interest: Ubiquitous Computing (Yvonne Rogers, UCL); Mixed Reality (Steve Benford, University of Nottingham); Artificial Intelligence, Humans & Machines (Lucy Suchman, Lancaster University, with Alex Taylor, City, University of London); Arts & Design-led Approaches (Bill Gaver, Goldsmiths, University of London); Public & Private Spaces (Christian Heath, King’s College London); and New Approaches to Research & Design (Susanne Bødker, Aarhus University). Our CfP for 6,000-word papers on current work and 2,000-word imaginings of the future of each topic is open until 21 June, 2019.